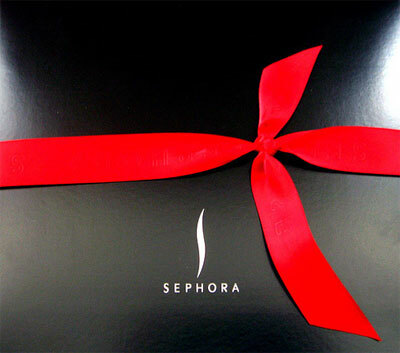 Sephora $50 Gift Card Giveaway! Two Winners! Yesterday I met the wonderful editor and writer behind The Makeup Mall Blog. Her blog is full of the latest beauty coupons and savings. Right now she has a very exciting giveaway going on! To enter her giveaway for a chance to win a $50 gift card to Sephora all you have to do is two things! 1. “Like” The Makeup Mall Blog on Facebook. 2. Follow The Makeup Blog on Twitter. That is ALL so please CLICK HERE to view this giveaway and find links to The Makeup Mall Blog links to Facebook and Twitter. Remember to tell her I sent you! *Please do not leave any comments on this post as entries. This is solely The Makeup Mall’s giveaway. Please refer any questions or comments to The Makeup Mall Blog directly. This giveaway ends this week so hurry!